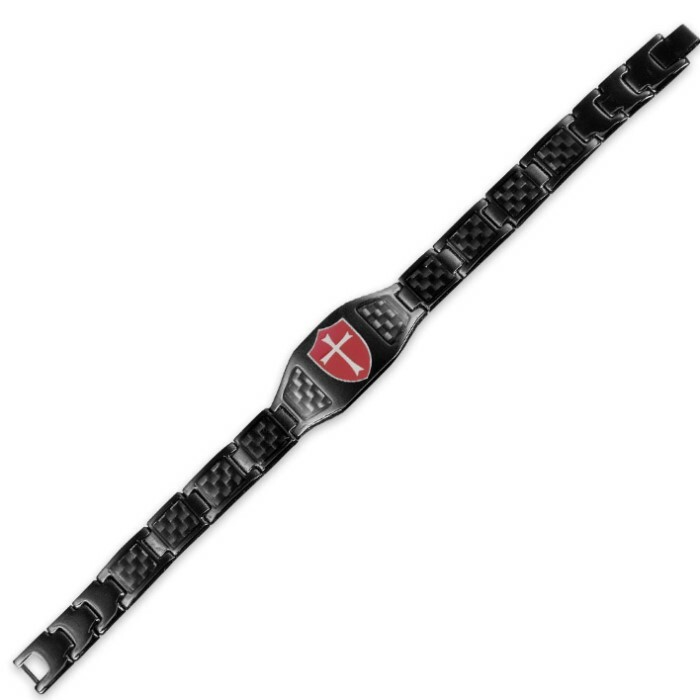 This linked bracelet is incredible looking, with its black woven carbon fiber inserts, which offset the natural mirror polished stainless steel background beautifully. Its focal point is the "Armor of God" - a cross inside a red shield - perfect for showing your faith and looking good doing it! Integrated health magnets add an extra benefit. Its high quality stainless steel construction boasts a sheen, corrosion resistance and durability that simply can't be matched by traditional, more expensive jewelry materials. Precious metals like silver and gold tarnish and fade, and even advanced modern ceramics are prone to chipping. 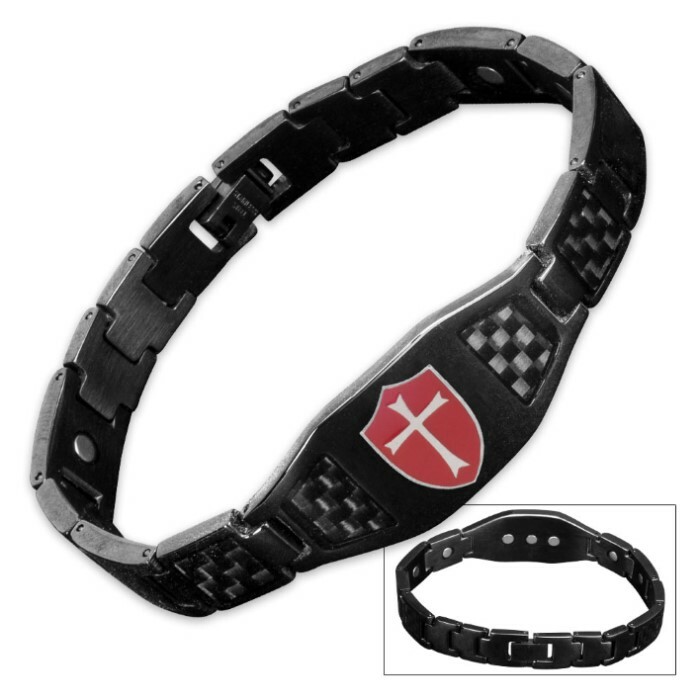 But the Armor of God Bracelet is truly forged for a lifetime of vigorous wear, so you needn’t fear damage while performing carpentry, vehicle repair/maintenance and other hands-on work. Measuring 8 1/2" long, one size fits most. 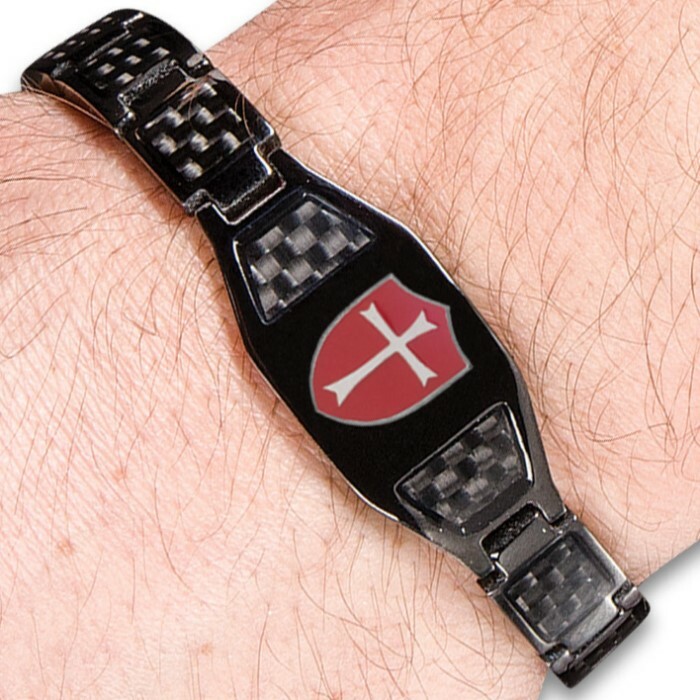 The Armor of God Stainless Steel / Carbon Fiber Bracelet makes a fantastic, memorable gift, and you won’t find better prices on fine jewelry like this anywhere else!